You might say that working on deals in emerging markets is a little bit… different. Possible government coups, hostile takeovers (from the government), and general instability. Complicated ownership structures that make the plot of Inception seem easy to understand. Governments that like to get involved with specific deal terms. But hey, you might also get paid twice as much – at least if you’re in a hot market like Brazil where talent is scarce. Our interviewee today is Carlos Solorio (Yes, a real name! He’s out of the industry), who was in a Latin America investment banking coverage group and worked on one of the biggest deals in the region. And he’s going to tell you all about how M&A deals there are different, his own personal experience working on a mega-deal, and what he thinks of the region and how you can break in. Oh yeah, plus how to start your own company after leaving banking. Q: You know the drill. Let’s hear about your background and how you got into the industry. A: Sure. I’d always been interested in business, and even back when I was a kid I had some experience starting a candy store, buying everything wholesale, and then distributing it to students at my school. And then throughout the years I had dabbled in other small businesses, so when I got to university I naturally wanted to do something business/finance-related. I interned at a Big 4 accounting firm, and met someone there who told me all about investment banking – I got some introductions from that, and then went through a few diversity recruiting programs and a ton of networking to eventually win a bulge bracket summer internship offer. Let’s just say things didn’t quite “work out” with that bank after the internship, so I interviewed around and landed a full-time offer at another bulge bracket bank instead. Anyway, I joined the bank and was immediately placed in the Latin America coverage group in the New York office. I worked on a number of deals there, including one deal that was worth tens of billions of dollars – one of the largest ever in Latin America. I had a great time there, performed well, and even won a 3rd year offer, but decided to turn it down to start my own business instead. I had always been antsy about getting out there and doing something on my own – at one point I even thought about starting a competing service to M&I and introducing my own interview guide! Q: Well, I’m glad you didn’t do that or we wouldn’t be talking right now. Kidding. Sort of. A: Hah, I’ll be on the lookout for any “unexpected guests” you send my way. Q: So let’s talk about this massive deal you worked on – what companies were involved, and what was their motivation for buying/selling? A: Sure. It was a natural resources deal (think metals & mining, oil, gas, timber, etc.) and we represented the minority investors of a company in a related party transaction. The majority investors were selling a large asset (think “area with a lot of resources”) to the company and were retaining equity in exchange for that. Our job was to ensure that the minority investors received fair compensation throughout the transaction and that the dilution was fair. Q: So let me get this straight, you weren’t advising two different companies, but rather two different groups of shareholders of the same company? A: Yes – and as we’ll see later on, those types of deals are very common in Latin America due to the complicated ownership structures that exist here. Q: This is already sounding pretty weird, but what were the other key challenges in this deal? A: First, our M&A team was small and so we didn’t regularly cover the industry – in this case, no one our team was an expert on natural resources, so we had to go in blind and learn everything we could about valuation methodologies there. Then, determining the proper discount rate to use when valuing this asset was incredibly challenging because of the country involved, the terms of the deal, and the fact that CAPM theory doesn’t hold up as well in emerging markets. Q: Right, a previous interviewee mentioned how discount rates in Latin America can be murky. You mentioned that the “terms of the deal” also made it difficult – what do you mean by that? A: Sure. To be more specific, the transaction was actually for mineral rights, but it had government guarantees that would allow the company that purchased those rights to obtain rights to another area until they had achieved the total quantity of minerals they were promised. You can see how that type of provision made the risk very difficult to assess – we had to take into account not only the effects of that initial upfront risk, but also what might happen if sufficient resources didn’t turn up in all these other areas and the company had to keep exploring elsewhere. Q: Wow. So essentially this group of majority shareholders owned these rights that were originally granted by the government, and they were selling the rights rather than the asset itself, and then the rights had all sorts of weird provisions attached. A: Yup. And then to make things even more fun, we divided the area in question into 5 separate areas and created a DCF-type of analysis for each one that valued them separately. The revenue and expense numbers there were straightforward, but the discount rate got complicated because of all those de-risking provisions. So it was far from a standard DCF or NAV-type of analysis you might see where you just pick a rate based on comps or based on the industry standard. A: Hah, sorry, I can’t get into that part because it was a confidential part of the transaction and we never released details to the public. But you can imagine that some serious math/probability went into it, and quantitatively it was more intense than what you typically see in M&A deals. It was a very fast-paced deal, and we actually closed the transaction after 6 weeks; that wouldn’t have been possible if it was a more conventional M&A deal with different companies for the buyer and seller. Q: You just went through a bunch of unique aspects to that deal, but what about valuation and transaction modeling in general in Latin America? What else is different? A: You have to worry about country risk. When calculating WACC you’ll add a country risk premium. There are various ways to do this, but we usually took the Credit Default Swap of the country vs. that of the United States. Other than the country risk, valuations and transactions are basically the same. We did the basic DCF, transaction comps, and trading comps during our valuations as well as the occasional Sum of the Parts. Occasionally you’ll also see unconventional sets of comps; you don’t have the luxury of a large universe of comparable public companies as you do in developed countries. Q: Right, but you’ve been mentioning how ownership structures can be a lot more complex as well – how does that work? And what country-specific issues do you see? In Brazil, you see a lot of provisions for minority shareholders and companies are frequently split into ONs (common shares) and PNs (preferred shares); companies often give minority investors PNs, which exclude voting rights (more on Brazil investment banking). Q: Wow. I thought life insurance companies in developed countries were complicated, but at least they don’t have ownership structures that resemble royal family trees in the Middle Ages. What about another big country, like Argentina? A: There, the big problem was government intervention and the ease of obtaining information. The administration in Argentina constantly made the environment unstable for M&A transactions, and the local filings were always a struggle to find and decipher. And then in Mexico, foreign ownership is not allowed in certain industries. To get around this, certain funds are created which remove the voting rights and appropriate them to the largest shareholder of the firm. The shares can then represent ADRs in which foreign investors are allowed to invest. 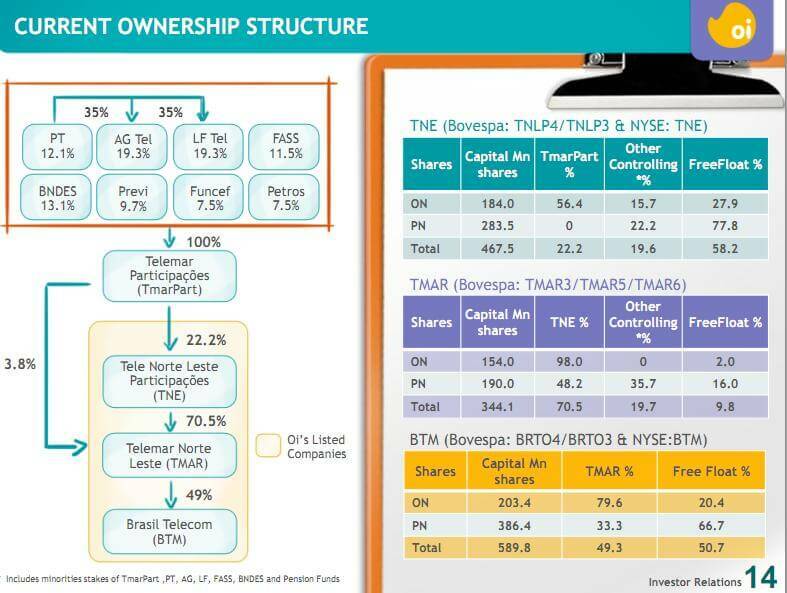 On top of this, it’s normal to see some very convoluted share structures with subsidiaries owning parent shares or just a cross-mixing of ownership across the assets. Q: I’m having fun with this, so let’s keep going. What about smaller countries like Bolivia, Peru, Venezuela, and those in Central America? A: We didn’t work with some of those countries much because their assets were too small for bulge bracket banks. You see middle-market and boutique banks involved more with smaller, Central American assets. There weren’t a ton of deals in Bolivia, at least when I was in the group. Peru has a lot of good cement and mineral assets, so you saw some activity there. And then there were lots of natural resources elsewhere, though Venezuela in particular was quite risky because of the way the government works. Ultimately, each country has its own unique laws regarding M&A transactions. You have to be aware of minority protections, the type of transactions allowed, what filings need to be created, etc. We had experienced MDs and Directors so that helped us out a bunch. However, the learning curve was steep whenever we began any type of engagement. Working the Same… and Getting Paid TWICE as Much? Q: So did all these crazy ownership structures and government problems make your hours longer? A: Eh, not really, investment banking hours are investment banking hours; I think our hours were comparable to the other groups, but maybe a little longer. Toward the end of my tenure we started expanding our team aggressively so that helped reduce my hours. Q: What about compensation? I’ve heard from some sources that you get paid a lot more in Latin American countries because of the increased deal activity there. A: Sure. Once again, I worked in NY so the compensation of all our bankers was the same as what you would earn in any other group there. However, it was rumored that our Brazilian counterparts earned 1.5x – 2.0x as much as us. One Brazilian analyst who joined our NY office actually confirmed that fact and said it was due to lack of talent in the region. It’s supply and demand: you have tons of deals but few bankers who are well-qualified enough to do them and who know the region and language. We had a lot of trouble finding a new Managing Director to cover Brazil – we went through tons of candidates from banks but never found anyone competent enough to do it well. 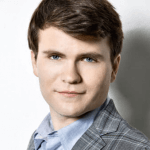 Q: Interesting – but that can’t be true in all regions, right? A: Yeah, it definitely varies by country. Brazil is by far the hottest market. And while Argentina and Mexico have a good amount of deal activity, the compensation there is likely the same as or lower than what you would earn in NY or London. More and more banks are also moving their Latin American coverage teams to the actual countries in question rather than covering everything from NY. Q: So do you think the region as a whole has a great future? Or is it just in a bubble? A: I think it will be great for the foreseeable future. People always claim it’s in a bubble, but if you look at a country like Brazil, you see that it’s not in a debt-fueled run-up: it’s being driven by the massive growth of the middle class there. Years ago it was much more of an inverted pyramid, but it’s becoming more of a middle-class society and spending power is becoming more evenly distributed. If you have the language skills and the desire to work in the region, I would go for it. Sure, experience in NY or London is still highly valued but you don’t need to stay there for your entire career. Q: So let’s say you are in the position to break into finance in Latin America. What’s the best way to do that? I’m assuming it’s a bad idea to simply land there and start asking for interviews? A: Yeah, definitely not a great idea. The community is small so it’s all about networking – I would suggest starting out in your home country, working there, building connections, and then asking for an internal transfer. The recruiting process at domestic firms in these countries is often haphazard and based on nothing aside from family connections and who you know. So I would definitely recommend starting out at a large bank, getting to know people, and then transferring to the local office in Latin America. That way, you have a brand name and some solid experience on your resume and you can always go back home if nothing else works out. Q: Great, thanks for the tips. I wanted to wrap up by going back to your own story – can you tell us about what you’re up to now that you’ve exited banking? A: Sure. We’re in the process of launching Arden Reed, which is a custom shirts and suits company. Our goal is to create personalized, custom clothing that won’t break the bank. My business partner has been in the business for some time, and we decided to team up and launch this new venture. There’s a huge shift in fashion toward customized clothing, and we want to take advantage of that and provide fitted clothing that’s affordable and convenient. We’re going to offer custom measurements online and in-person, and we’re building out a tailor list in different regions right now. Q: Awesome, that sounds exciting. 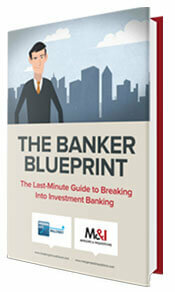 And I’ll bet lots of bankers and prospective bankers would be interested in signing up! A: I hope so. If you want to check out more and help us get off the ground, you can go to our Kickstarter page and become a backer of our new venture. If you pledge enough, you’ll get free shirts and suits once we launch. So make sure you head over there right now and back our new project. Q: I think I’ll do that right now, actually… I could use some new shirts, especially if they fit well. Thanks again for the chat – learned a ton, and good luck with your new venture! Are there any banks with LATAM coverage groups that are based in San Francisco? I’m not 100% sure; I will leave this to readers. So Spanish/Portuguese is a must? 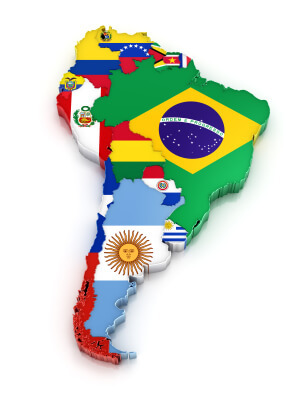 I speak neither but have grown serious interest in LATAM. In this case, the chance is,to say the least, more haphazard? You can probably pass by as an analyst in most firms, but seeing as you have to read spanish/portuguese filings I would call it a risky move. Carlos if you are interested in working in Brazil, would Brazilian candidates who have worked overseas in an English speaking country such as USA, UK and I guess Australia have a greater advantage in applying for jobs at BBs in Brazil and can this overseas experience help you get more senior jobs? I understand that we’re not big on ranking here at M&I but would USA and UK be favourable over Australia to transfer (assuming your at a BB in all these places)? Finally, how easy/difficult is it to transfer from one of these places to Brazil assuming you’re at a BB? I believe speaking the native language fluently would help immensely. Readers may be able to offer better insights. Thanks for getting back to me. Would exit opportunities be available to a relatively prestigious PE Group from the LatAm Teams at Citi and BAML as well. I know CS is probably strongest but was wondering about Citi and BAML and also if you have an opinion with regards to which one is stronger. Also, as with CS, from Citi or BAML would you be able to go to a PE Group not focused in LatAm at all? Thanks! Both Baml and citi are relatively weak in Latam, maybe BAML has a bit more presence than citi. I can’t comment on exit opportunities on either, but I’m sure you’ll be fine. Also, yes generally your first two years don’t tend to pigeonhole you, its not until your an associate where you start diverting to a specific specialization. The exit opportunities are generally similar. There are Latam groups, CS for instance, that have higher cache and would probably help you obtain a more prestigious PE position. Another great article on Latin America. Was wondering if you could share some light on exit opps from working on a Latin America Coverage team at a Bulge Bracket in New York (ex. BAML, Citi, UBS), specifically with regards to Private Equity. Are they strong and also would you have to go to a Private Equity Group that has some focus in Latin America or could you go to one that’s more focused on U.S. and Europe. Essentially would you be pigeonholed to LatAm if that is where you spend your analyst years. Thanks! Yes, lots of people get into PE from coverage groups in NY including LatAm coverage groups. Pigeonholing always happens at some level, but I think it’s a little easier to switch to cover a more general region than it is to switch to cover a more general industry (e.g. moving from FIG to industrials or retail). But readers may be able to shed more light on that one and how easy/difficult it is to move.